Munnar was a long pending destination in our list of places to visit. We landed in Munnar just before the onset of monsoons to get a glimpse of this popular tourist destination in Kerala, India. We stayed at Windermere Estate, which is wholly conceptualized and built by its passionate owner – Dr. Simon. A doctor by profession, he fell in love with the place about 25 years back. He built Windermere over the years and one can see his passion and imagination come through in every nook and corner of the Estate. He has many stories to share and its just wonderful to have a conversation with him by the bonfire at the ‘Boulder’. Our primary purpose of visit was to relax and unwind and Dr.Simon’s Windermere Estate was the perfect place for this. After a couple of walks through estate, I realized that this was a birding paradise. One morning after breakfast, I set off to try and photograph some of the birds that visit the estate. 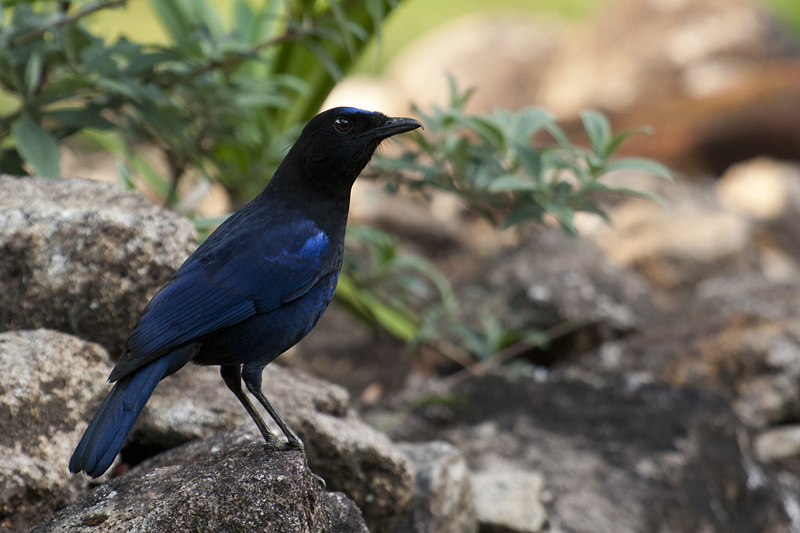 The first on the must-photograph list was the vociferous Malabar Whistling Thrush. I soon realized how difficult it is to photograph this omnipresent bird. 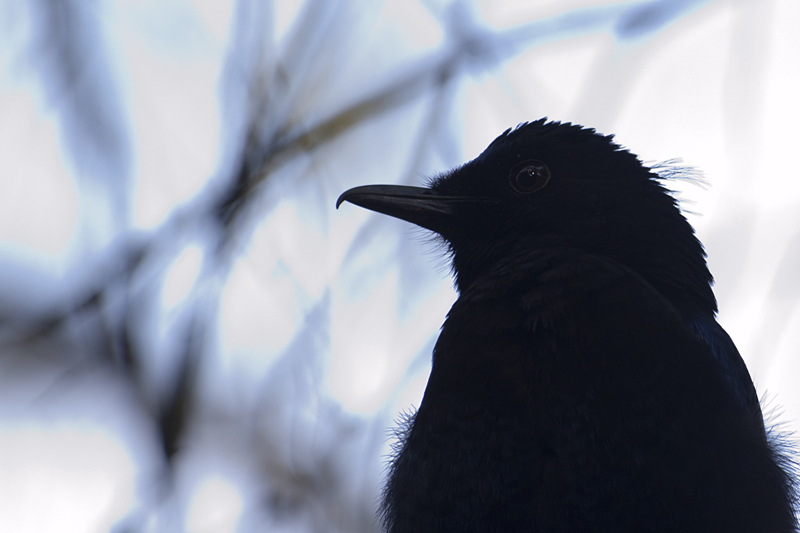 All I managed in an hour of running around was a backlit closeup (above) of the Malabar Whistling Thrush. 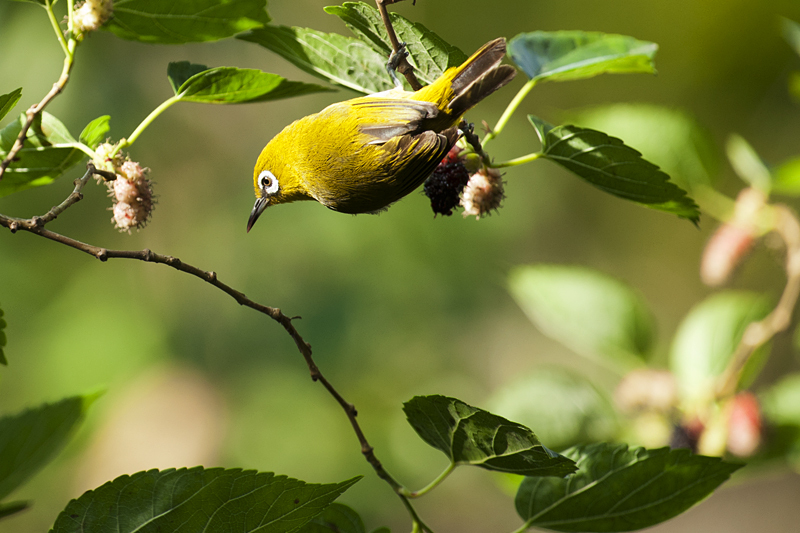 But I did manage a photograph of the Oriental White-eye (below). 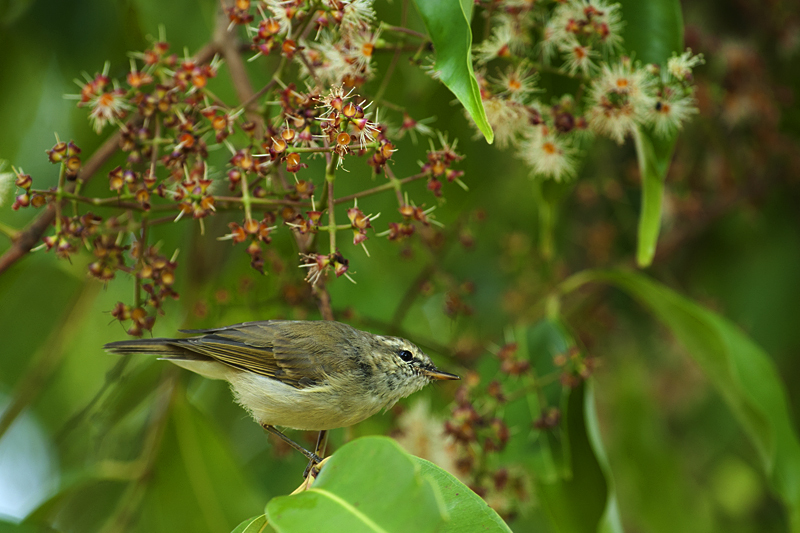 On yet another unsuccessful chase for the Malabar Whistling Thrush, I spotted a Blyth’s Reed Warbler (above) foraging around and captured a picture of it when it took a break from its busy routine. I soon realized it is better to wait at a location and let the birds come to you rather than running behind them. So after lunch, I settled at ‘The Hut’ – a tastefully done Tea Shop, in the middle of the Estate. After a couple of hours of waiting, I was in for a pleasant surprise. Instead of the Malabar Whistling Thrush, a Scarlet Minivet (below) paid a visit and in the few minutes that they hung around the hut, they gave be some frame filling compositions. 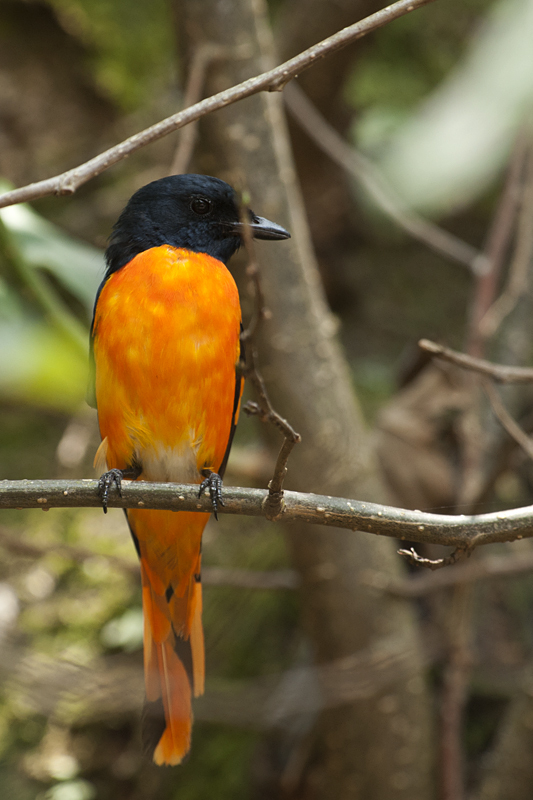 While the Malabar Whistling Thrush was the main objective of the birding session, the beautiful pose of the Scarlet Minivet was just so good that I had to make it the feature image (first image) of this post. 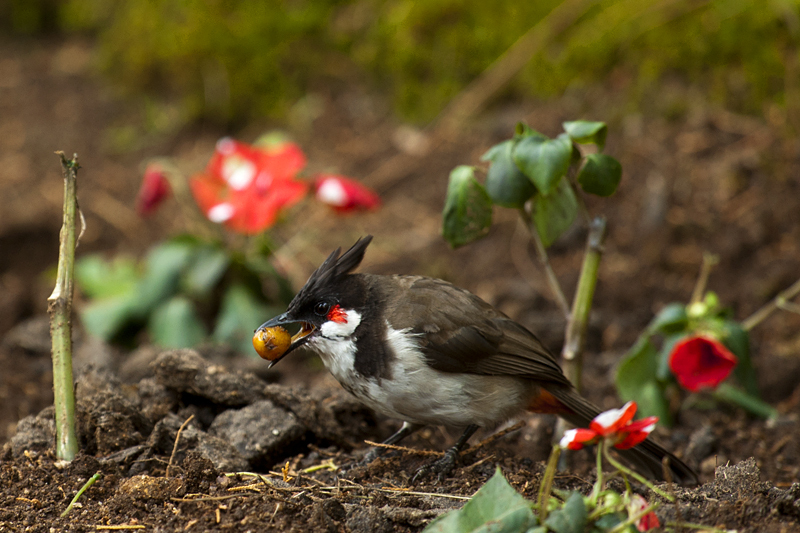 A Red-Whiskered Bulbul (above) came foraging close to the hut and I captured its picture when it posed with a ripe fruit. I was sitting at ‘The Hut’ and time just flew. I had been waiting for over three hours and there was no sign of the Malabar Whistling Thrush. 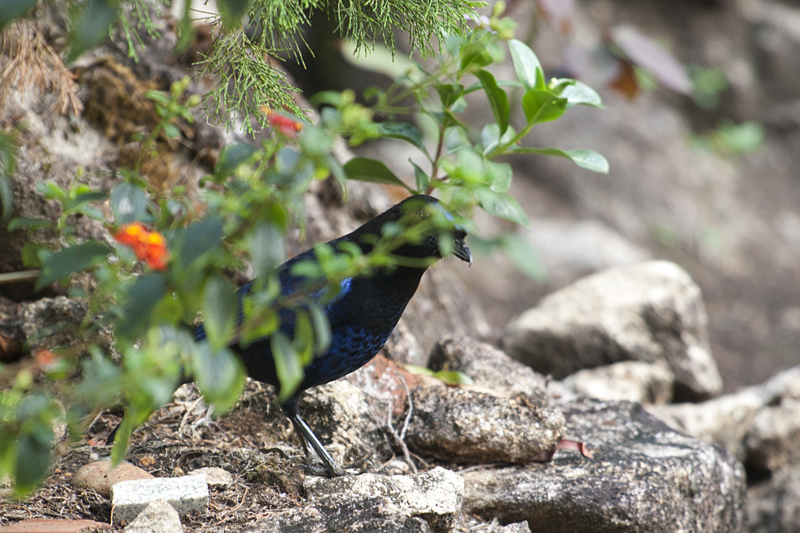 And finally in the fading sunlight, a Malabar Whistling Thrush flew by and settled in the nearby bushes. It looked curiously at me, partially hidden behind the bushes. Having waited over three hours, I quickly composed and took a picture of the partially covered bird (below). After few nervous seconds, the Malabar Whistling Thrush (above) came out in the open and I clicked a few decent images before it scooted away into the bushes yet again. After a day of birding at the Windermere Estate, I can surely vouch for the fact that it is one of the best locations to photograph both, the Malabar Whistling Thrush and the Scarlet Minivet. Your wonderful images convey a good impression of the bird population at Windermere Estate. Really looks like worth a visit!